Have you ever paid to enter writing competitions; either for short stories, poetry or even submitting a novel? Or perhaps you’d never contemplate having to pay for competitions? The topic of writing competitions came up at our last meeting of the local writing group and I was surprised at the varying opinions. A couple of people seemed genuinely surprised that most competitions charged and that these were successful – I then had to admit to entering some myself with one win, a shortlist and a couple of long-list to my name. At first I was overjoyed to have my work professionally validated and deemed worthy to be read in print and it was the confident booster I so desperately needed. The deadlines, themes etc was a great incentive to sit down and write, producing a story in a day or two – then a few more days to re-write and edit. However, as I entered more and more competitions I quickly became disillusioned. Not only was it expensive but entering the competitions was eating into my novel time. Instead I took a break from them and concentrated on writing the first draft of my book; the thought of competitions filed away in the depths of my brain. Until the discussion. Until the latest issue of Writing Magazine (a top-selling magazine in UK aimed for all level of writers in all genres). Once again many competitions tempted me, my creative desire to write short stories rejuvenated. However, are paid writing competitions a scam as sometimes is implied? Starting out, my initial reaction was the same as some of my writing group members who were shocked you had to pay for them. However, at the same time I appreciate there is a cost to running them, the administration alone for example. Also the judges take considerable time and work to read through the entries. In the process though some competitions have become prohibitively expensive as they fight for prestigious writers to join their panels. Free competitions can be great, particularly if you have researched them well although I think paid ones are here to stay. If you are interested in entering competitions, whether free or fee-paying, I quickly learnt there are several important issues to consider. First of all, check out who runs the competition? Is it reputable? Will your work be published in print / online? What is the prize? Sometimes just recognition and being in print is enough, just be aware of this in the first instant. Another point to consider is that if it is a famous prestigious competition, such as the internationally famous Rubery Book Award or the BBC Short Story Award, it will attract thousands of entries from across the globe and your work will have less chance to make an impact. Is there a particular topic/theme to the competition? It is important to submit work targeted to the particular competition and not be tempted to recycle old entries that nearly but don’t quite match the prerequisites. There are some excellent free competitions, the Writers & Artists Yearbook Short Story Competition is one example and well worth entering and this year for the first time there is no specific theme. However other free competitions seem more set on getting your personal details for promotion. Just be aware. Take the time to look up the judges. This can be more helpful than initially imagined. What type of books / poetry / stories have they written or promoted? What can you learn about them from their social media exposure? Perhaps your style and content is not something that would interest them and your entry would be better placed elsewhere. Do check out the previous winners. This piece of research can pay dividends in the long run and its importance cannot be emphasised enough. Early on I made this mistake and only too late, after submission, read some previous winners and realised that my story had no chance of winning. Very frustrating and I chastised myself for this lapse. Also if hoping to win a magazine competition read not only the previous month’s winner but also a few back issues to help establish a feel of the target audience. Reading the T & Cs (many times and preferably underlining!) is vital. Always make sure to follow the rules of the competition – this is not a moment to rush ahead without reading the small detail. How should the submission be made? Post? Electronically? If the latter, in what format? In an attachment or part of an email? What are the font / spacing etc rules. What is the word count – and stick to it! The number of words, means just that! Unfortunately an entry can lose out for this reason alone and I know of one such case. Also send the correct money, in time! Also make sure you take note of any restrictions – for example there may be an age band or locality to consider. Finally be aware of the deadline. This is in itself an excellent incentive to complete your work for but do make sure the submission is in at least a few days ahead. Posting on the deadline date is not accepted by most competition rules. It is a good idea to consider how relevant is the prize for you? Financial reward is always welcome no doubt! Specific prizes such as a free book cover design will only be attractive to those with a book ready. Writing course prizes, such as a week on the prestigious Avron Writing course offered by the Bridport Prize, are also popular but again not ideal for everyone. Hopefully by following these points you can save both money and time by ensuring your entry will be considered by the judges. Lately, some competitions have expanded their remit from pure competitions to helping others, whether locally or abroad. For example the Magic Oxygen Literary Prize promises to plant a tree for every entry. The trees are planted in Bore, Kenya. Furthermore the competition money will help fund an extra classroom at a school nearby. Personally I cannot help be moved by their efforts but at the same time wonder if it is a bit of a gimmick, a con? Novel writing competitions are some of the most expensive ones on the market, often starting at £20. The Rubery Book Award costs £36 to enter with a prize of £1,500. Is this too much or is the possibility of a break into the publishing world worth the cost? Some offer feedback for an extra outlay. Is this worth it? 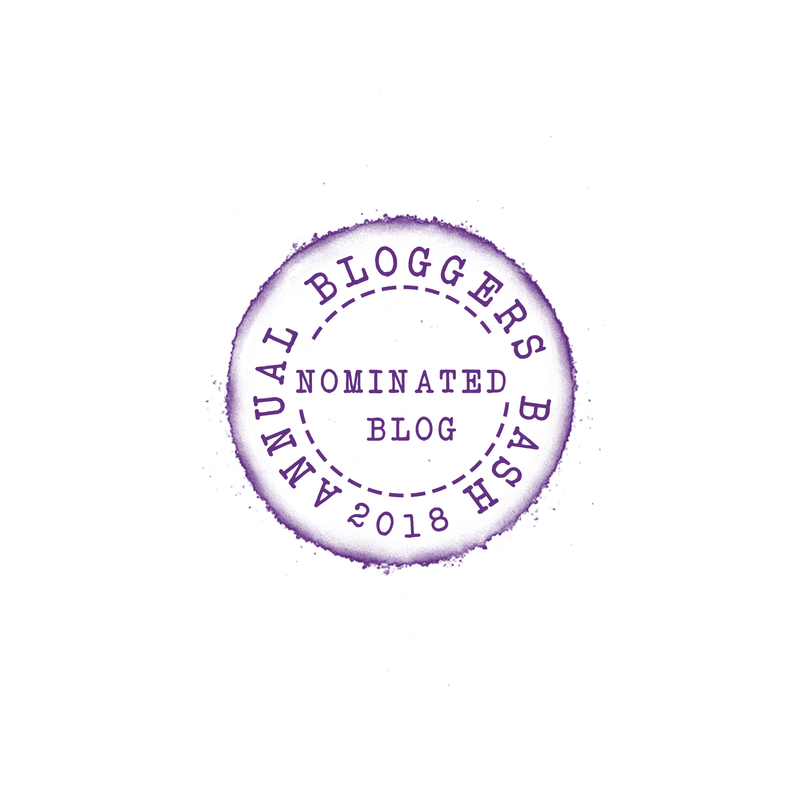 Recently I have noticed an increase of competitions on blog sites and whilst initially sceptical I have followed some and seen their success. The writing is of a superb quality, the winners receive public recognition as they are published on the blog and shared further and the entry fees are far lower than anywhere else but still retain the incentive of a cash reward. As the number of entries are considerably lower than national competitions ones the chance of a win is exponentially improved. What are your experiences with writing competitions? Have you entered any? Many? Paid ones or only those for free? Are you perhaps running a competition on your blog? Could you share your experiences? Have you ever been asked to be a judge for writing experiences? What was this like? I would love to hear from you and hope a lively discussion will ensue. Finally, in addition to the competitions already mentioned the following are just some of the many which have caught my eye and these should give you a feel of the range, expense and prizes out there. Cinnamon Press runs competitions for Poetry & Short Stories. The Telegraph newspaper runs a monthly ‘Just Back’ Travel writing Competition. An audio transmission of the winning story is promised in this free and unusual competition run by soundwork. The Rialto is running a pamphlet competition. The London Magazine offers a prize consisting of a number of pounds sterling equal to the current year (£2016 for year 2016)for the best Short Story submission. mslexia magazine, one of my favourite writing magazines, runs four competitions, open to women writers of all levels of experience from prose, Short Story, Novel and Poetry. Winners have gone on to secure publishing deals and literary agents. Inktears Short Story / Flash Fiction competition. Very useful thank you. I am in the process of writing a short story for a competition from Writing Magazine. I am reluctant to pay for competitions at the moment. I also find the themed competitions more interesting as it gives me a focus. One thing I do find annoying is when published authors win these small competitons as then no one else really has a chance! Good luck with your entry for the Writing Magazine – this is where I had my first competition win and yes, on a themed topic! I also find the themes a excellent prompt and in my case the storyline came to me as soon as I’d read the topic. I know some competitions allow published and established writers to enter which can understandably be frustrating…however as a subscriber and regular reader of Writing Magazine this is not the case with them. Thank you. I am a subscriber too. I think it’s the Writers Forum magazine that accepts published authors. Well done on your win! Such a thoughtful and well-written article, Annika, the best I’ve read on the subject of pay-t-enter writing contests. Maybe this is too idealistic of me, but I don’t think it’s right for artists of any kind to have to pay to submit their work. Thank you so much for your words, Eve. I don’t think it’s idealistic at all – I was shocked in to start with, then began to wonder if it was just me and became used to the idea. Later seeing others reactions I started to question the whole process – so many pros and cons; the important element is to go into competitions armed with all the facts! You’ve made some excellent points – I’d always heard that the paid competitions are not worth it, but I guess every writer needs to decide. I’m about to enter a bunch for my dad – they are all free, though. I’m really looking forward to reading your short story – just doing some quick blog reading today! How wonderful that you’re entering competitions for your dad – are these poems / short stories? I wish him the best of luck. I think, hope, that most of the competitions are legitimate but it is an issue of researching whether your story fits the profile of the competition and judges, then weigh in up the financial and work time required. Reading all the small print is also so important. One blogger following this piece reread a competition rules they were about to enter and found they were ineligible to enter as they hadn’t bought the magazine for the previous two months. An easy mistake to make! So glad you’re looking forward to my short story and I understand exactly what you mean about quick blogging – for longer pieces I’ll often flag for later. Hope you enjoy it! Hi Annika – thanks for your support! They are short stories, many written in the 1960s and 1970s. My dad is an accountant, but he majored in English and creative writing in college, so he’s always had that creative part to him. Best wishes! Christy, I love your enthusiasm for sharing your work via your blog and self-publishing – I agree that way it definitely does receive a larger audience and gives pleasure and joy to so many. Often I felt my entries ended up in a dark hole, forgotten, forlorn. After reading your comment and all the others I’ve decided to post one of my more recent short stories instead of sending it into a competition. I’ve entered six short story writing competitions this year and have had to pay a fee for entering each one. I don’t mind paying a fee if the prizes on offer are attractive. With regards them eating into writing time, my rule is to enter one a month. That way, the rest of the time during that month can be put to writing my blog or more shorties for my next book. I was once marked down in a short story competition (held in the USA), for using the word ‘Motorway’ instead of ‘Freeway.’ It put me off entering further competitions outside of the UK. Hugh, thank you so much for your comment. You show the way to go for others considering entering competitions through your clear and well-thoughtout plans to which competitions you are going for and how much time you are willing to allocate. A sound strategy and I wish you best of luck! Grrr…about the USA entry – that would put me off sending more that way too! Yes, what happened in that first ever writing competition I entered did put me off for a while. However, I decided not to let it win and thus was born the idea to enter one UK writing competition a month. However, I’ve just seen an excellent short story competition based in Ireland. I think I’ll give it a go and see how I get on. It’s Euros instead of pounds, but I’m sure I won’t encounter the same problem as I had with that first competition. Thank you for your lovely comment, Mary Ann – a celebration of writing, blogging and life itself. I feel very upbeat now!😃 I realised that many (myself included!) were confused and overwhelmed with all the competitions on offer, their complicated rules and varying pricing so I wanted to put some order down about what is available and warn about the possible pitfalls. I’m so happy with the conversation that has followed and yes, this interaction and contact with others is the true delight and joy of blogging. Wishing you much happiness in your writing and other activities. 😀😃 The sun is shining, autumn colours have finally arrived so a walk seems in order! Debby, just over a few years I’ve seen the entry costs rocket across the board and must admit some of them make me wince! 😃 Reading the comments here though I’m beginning to understand those expensive ones that offer constructive criticism of the entry work might well be worth the money – again research is the key! Personally I’m still undecided which way to go! I have had some excellent advice from competitions. I’ve been stunned a the attention the reviewers paid to a non-winning entry. In those cases, I always felt I got my money’s worth. I saw it like paying my $50 to get a 10-minute sit down with a professional at a writer conference. You have a great list, Annika. I hadn’t thought of many of those. Jacqui, the feedback offered by some competitions and as you yourself experienced seem to be one of the most positive aspects of competitions. That is an interesting side and for some it might be worth entering competitions that offer this critique service as well as a prize – that way you can come away with some valuable insight into your work. As for the list of competitions…there are just SO many – I have a booklet with over a couple hundred here in the UK for the next half year. It became tricky deciding which ones to mention and in the end went for those I have read about or had experience with. Time and money are two things often in short supply! Thanks for this. It was very informative. Adrienne, many thanks for your lovely comment…there is so much information out there it was a matter of deciding what to leave out and collating the rest! Writing competitions can be intriguing but also pricey. Annika Perry shares some great thoughts about if paying entry fees is worth it and how to choose the writing contest that is best for you. Annika, I used to send my work to literary mags/competitions all the time. I have been meaning to do so currently, I write the stories, then I don’t take the time. I keep telling myself someday I will do this again. I do think it is important for writers to have publication credits, especially if you are trying to find a larger publisher. I believe they use the entry fees to pay the prizes, and maybe also judging fees. There are many literary magazines that are so difficult to get published in (Glimmer Train is one, I read it years ago), the New Yorker, and many others. People could always search the ones that lean toward less experienced writers unless, of course, they consider themselves to be in the category of those upper crust ones. So I guess my opinion would be to enter some of these, but really do the homework to see where work fits the best. Great post! You are very welcome :-). That’s true, we have no more excuses, ha ha. I believe Jill still works, too! Thank you so much for your warm and kind comment, Robin. 😀 What has struck me over the years is the huge variance on cost for competitions – and I’ve realised just because some are free doesn’t mean they are not prestigious or well-recognised and professionally run. Teresa, I think the conversation is bubbling along with vigour! 😀 The input from other bloggers has been wonderful and I’ve learnt so much from the shared experiences – lots to think about for everyone. Submitting once a week sounds difficult, both time-wise, quality-wise and as you say would quickly become prohibitive on cost! For a while I tried once a month and did that for a year…then became disheartened with it. I think a critique of ones work would be extremely valuable – once it arrives! How long have you been waiting to see yours back? Just received critique yesterday for the one I expected to be later. I feel the submission hadn’t just been glanced over and the feedback IS gratifying. Subject, Content and Technical were marked. The judge’s input felt thoughtful, thorough–not harsh. Not sure how many judges were involved but more than one. The other contest has only ONE who volunteers his or her time. We shall see. Yeah, an early response and fantastic that it was such a thorough and thoughtful critique. 😀 To have your work read on so many levels will no doubt have provided you with invaluable insight and definitely worth entering. Your comment is beginning to restore my faith in these kind of competitions. See how the other one goes…Many thanks for letting us know how it went…sharing this kind of information helps us all to make more informed choices regarding competitions. I agree with what you have here Annika. I’ve never seen paid contests as scams, but rather, I don’t have a boatload of money to enter each one. The contest I did enter is through a state writing association, and even they’ve described how difficult it is to run a no-fee contest. Everyone volunteers. Stevie, being shortlisted for two competitions is great but I can definitely empathise with the world-weary sentiment. After entering a slew of competitions over a year it just became too much – money, time and emotionally. Most are legit I’m sure but they often seem skewered I felt and sometimes they changed their own rules – that makes one wary. See how you feel about them in a little while…the jury is out for me too at the moment! I won’t be entering as many next year. This is wonderful information, Annika. Thank you for sharing it! I know a lot of people cringe at having to pay entry fees for these things. It was that very physical ‘cringe’ reaction of my fellow writing group members when I mentioned I paid for competitions that really got me thinking about this topic. I’d become used to the fees but realised that this did not have to be the only way to go and also the cost is prohibitive both monetary and time-wise.Thank you for your comment, Kristen. Thank you so much, Annika for this informative post. Certainly food for thought, and with all the comments. Thank you, Khaya and I was hoping for just such a positive discussion with the comments as it always helps to pool together our knowledge and experience. Thank you for your time and generosity in sharing this helpful information, Anika. Thank you so much for your lovely comment, Cynthia. It was a joy compiling the post, I had lots of scribbled notes with the pros and cons but oh so many competitions I could have mentioned – a matter of picking an assortment. Yeah! Glad the post gave you a nudge to read the rules closer – sometimes it feels like they’re trying to catch you out! Love the poem and great you could share it on your blog. Great post Annika. Here across the pond the only contest I ever entered was ‘Chicken Soup For The Soul’. All entries are free. It takes a while to hear from them if they choose your work but it is worth it. I have not been one of the chosen, yet, but will keep trying. I do notice that the U.K. has quite a few more contest available but you must be a resident of the country. I did purchase a subscription to Glimmer Train magazine and can enter my work there but they only have two publications a year. However I do enjoy reading the stories and poetry they offer. Thank you so much and great if the post has got you considering competitions again. 😃 I was aware that the competitions I mentioned were rather UK orientated, although a couple were also international. In the past few years there seems to have been an explosions of competitions here – not sure that is all a good thing. The same does not seem to be true of the States then? I have looked at entering competitions there but again there are residency requirements and also I felt unsure about the market/magazines/competition organisers. I’ve never heard of the competition you name but love their title and best of luck with your entry and yes, do keep trying. 😃 Thank you very much for sharing about Glimmer Train magazine – that looks a wonderful publication! Lots to enjoy for both readers and writers. Thank you so much for the reblog! 😀 There are so many competitions out there it is become tricker to sort the legitimate ones from the scam so great if that more people might find this helpful. I did pay to enter a competition one time and then I felt like an idiot for doing so. It may have been legitimate, I guess, but having an entry fee automatically makes me think it’s a scam. I might just have been sour grapes because I didn’t win, of course. Thank you, Marje and I can imagine your flash fiction or short stories doing really well and they don’t cost the earth! If you do have a go I’d love to know how you get on. Thank you Annika for sharing this piece. I would like to participate in a few writing competitions but I’m still a bit a bit leery. Thanks to this very informative post, I’ll try my hand at a couple of the smaller ones that are coming up the end of this year. Lynette, I think this cautious attitude is quite common and also probably a sensible one! Your idea to start with smaller competitions sounds like a very good idea and I wish you good luck with these. Just entering does focus the mind I found. I found your post, Annika, not only to be interesting but also original. It’s the first I’ve come across this subject on blogging. In the past, I have paid to enter competitions and understand your argument about the people involved in judging the competition. Fair enough. I haven’t entered a competition for some time now…mainly from discouragement and, in some part, distrust. The surge in Indie writers has brought about a new industry, for lack of a better word, “helping writers get published.” So many have jumped on the bandwagon trying to cash in on writers so very much wanting to be “known”. It’s become a thriving business and you, as well as I do, know that there are markets for every stage of the writing process. I don’t want to discourage anyone from entering a writing competition. As you said, such competitions can be incentives to keep writing. Hurray! Carol, thank you so much for your comment. 😃 Wow! I don’t know about it being original but I realised it was a topic relevant to so many writers but I hadn’t come across a summary about it. Also, after discussion at the writing group, I became aware that facts and information I took for granted (after lots of experience/failure!) were not common knowledge. The recent explosion of writing competitions causes me concern as there are definitely disreputable and poorly run ones out there. At the same time, they are tainting the professional, well-organised genuine ones that can be worth entering – hopefully this post will bring clarity into the confusion and help people decide which way to go. Having read your work, Carol I don’t think you need the incentive of competitions to keep writing, nor the feedback! Just keep writing and publishing! Unless you’re tempted by the Novel competitions?? Great post-Annika, I’ve learned more about writing competitions from this post then I knew before. I’ve never thought of entering one but there’s always a first time. Thank you, JC. The more I researched this post, the more I learnt myself about the plethora of writing competitions. I’m sure there are many more than just a couple of years ago – and some fees are now extortionate. Yes, a gentle nudge. I’ll have to look for some book competitions :-). I probably should start now for next year! Many thanks, Bette and appreciate the sharing. 😃 Hope you’ve had a lovely weekend. Julie, with the title of this post I meant ‘cost’ not only as a monetary element but as you mention, time. There is never enough time to do everything we want to do and competitions can become a distraction and divert us away from what we want to be doing. This was partly why I stopped too. I like your level-headed approach to the novel submission and the critique you received probably cost less than if you sent your mss off to a special service – so glad it proved valuable. Congratulations on the win! !😀😃 That must have been a real boost, well done! This is great stuff here, Annika. In the past, I entered five contests where I paid a minimal amount to enter, three of which resulted in publication with a reputable magazine and one paid a nice prize for an online publication. Another gave great feedback. A contest I entered last year, which was free, resulted in a book contract. I’m a huge supporter of contests, but we must do our homework. These are good points. I have entered one or two competitions in the past, but I rarely do now. When I do, I only enter those who will give a critique as part of the fee – it’s always good to get feedback, and even if you don’t agree with all their points, it is at least something to think about. I’m beginning to wonder if competitions is a phase-thing, Mick as I too entered some for a while but then stopped – to concentrate on writing my book. It is a great idea to get outside feedback on your writing and I’m glad the competitions gave you that and yes, you don’t always have to agree! I did a writing course and thoroughly appreciated the feedback I received from my tutor and most of the time agreed with her gentle but firm comments / alterations. It’s very important to be open to that criticism – after all, we want to be read by other people, so we need to take note of what they think of our writing. Informative, interesting and even fun post. Love the pics and the Mark Twain quote. To some extent I agree with Mike’s answer, nothing dared, nothing gained. Can’t be worse than buying lottery tickets. :) which I don’t. It is the research that baffles me. Lazy maybe. With your very clear advice in mind I believe I will enter a few poems. Mirja, I’m over the moon if my post has inspired you to enter some of your poems to competitions – I have no experience of these but wish you best of luck! Do let me know how you get on. As you say, if you don’t try you definitely won’t win. Glad you liked the final quote by Mark Twain – it has me smiling. 😀 Thank you so much for your warm lovely comment. Very interesting blog post, Annika! In my early days I wrote quite a few short stories and entered a few competitions for which I paid an entry fee. I felt cheated because my forte is not the short story so I finally went back to putting my time in on my novels. That has proved to be a better use of my time. Also many more novels are published than collections so the main reason I can see for all the short story competitions is obviously the judges’ time. I get it. But I had to consider what I wanted to write. I may go back to some bits but, honestly, if I’m a novel writer I still feel better writing that form. I have submitted to a couple of very large novel contests but, as you say, the colmpetition is steep for the big names. Meanwhile my audience seems to love my books and I’m fulfilling my own dreams. Choices! Elaine, your positive approach to writing is wonderful and I feel your sheer enthusiasm for the craft through your words. Throughout you seem clear-headed what you were doing and also why the competitions were not working for you. Short stories and novels are two very different forms of writing. Also I agree there are not many books of short stories – although recently there have been a few very successful ones. I’m impressed you entered the novel contests – quite a feat in itself and a lot of work to prepare. You seem to have found your way and your dream brilliantly – without the competitions!😀 Yep, all our own choices in the end and the best way to make them is to be fully informed! An interesting and thought provoking blog Annika. l have never entered a writing competition myself but I believe that, like most things in life, you pays your money and takes your choice. I think it boils down to what best suits you. Also my view is that taking part is most important – it pushes you to do your best, learn and develop. And if you win that’s the icing on the cake. Take a chance that you could be helping plant trees and building a school. Trust is important but we mustn’t be too naive. Mike, I think your final sentence sums up the competition experience – trust but don’t be too naive and innocent; hence the importance of researching on all fronts. The comments so far highlight such varying highs, lows and indifference to competitions. Everyone has to find what works for them best – but finding out can be costly but hopefully I’ve highlighted some of the pitfalls here. Annika, thanks for all this information. I have never entered a competition but have toyed with the idea. Your post is filled with valuable insight to ponder if I ever decide to enter the fray. I’ve been a judge recently for a book award – rather than a short story award. It was run by a blogging author for books published in the last 12 months. There was an entry fee, (£10 from memory) but there was also an actual engraved prize shipped out to the winner. I didn’t get any payment. The five finalists were all high quality works, with strict criteria for entering, and diverse in nature. The book I voted for went on to win: Cynthia Reyes’ An Honest House, well worth a read. I thought it was an interesting initiative by the blogger, Kev Cooper, (kcbooksandmusic I think) and I liked the fact that he set high standards and attracted well written books. I’ve thought about entering comps too but I’ll be honest, an entry fee does put me off. I do like the idea of competitions, but I’ve been burned before by scams that have left my almost empty wallet even emptier. I has made me reluctant to apply for competitions which cost money. All I say is that research is definitely very important! Make sure you know everything about a competition before you apply. Oh no, that is bad and in no way sounds legit. All deadline dates should always have the year on them…and unbelievable that they took your money anyway. Not reputable at all. Could you complain to them? Get a refund? It’s stories like this that gives fee-paying competitions a bad reputation! I’m not surprised you’re wary of entering further competitions. Maybe look out for free ones?? Many thanks for your comment. Interesting post… As with so many things, it’s a balancing act, with best results gained by doing your research up front. I recently had a bad experience with a poetry competition – lots of jumping through hoops to enter, then they messed up and didn’t include me anyway (after I’d paid). Yes, mistakes happen, but writing time is precious! Al, that must have been so frustrating trying to enter the poetry competition and as you say wasting a lot of your time only for you not be included in the end. Grr…Something similar happened to a friend when she entered a poetry competition, lots of emails and phone calls back and forth before everything was sorted…and no, she didn’t win! Research is definitely key – something which I only learnt through trial and error.